Your donation can have DOUBLE the impact! Double Red Cell donations let you give more of what’s needed most by transfusion patients. Double Red Cell donations are similar to whole blood, except a single machine gives you the ability to safely donate two units of red blood cells during one sitting, while returning your plasma and platelets to you. 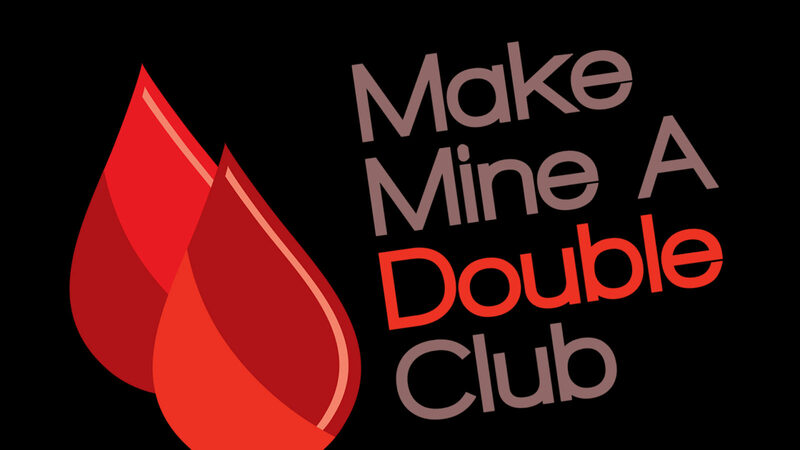 Our Make It A Double Club rewards donors who make the commitment to donate Double Red Cells 3 times throughout the calendar year with an exclusive, Make It A Double T-shirt.